The D XIII single-seat fighter was essentially a re-engined and more powerful variant of the D XI developed for the German Reichswehr and powered by a 570hp Napier Lion XI 12-cylinder water-cooled engine. This first flew on September 12, 1924, pow-ered by a 425-hp Napier Lion 12-cylinder liquid-cooled engine, over which twin 7.92mm LMG 08/15 machine-guns were mounted clandestine German Jagdlehrstaffel (fighter training squadron) at Lipezk in the USSR, ordered on their behalf by the Russians. On 16 July 1925, the production model was used to establish a series of world records for speed and load with 250-kg (551-lb) and 500-kg (1102-lb) payloads. Production was, in the event, restricted to 50 aircraft ordered by Hugo Stinnes for the clandestine Reichswehr air training centre at Lipetsk, where they arrived in the summer of 1925. 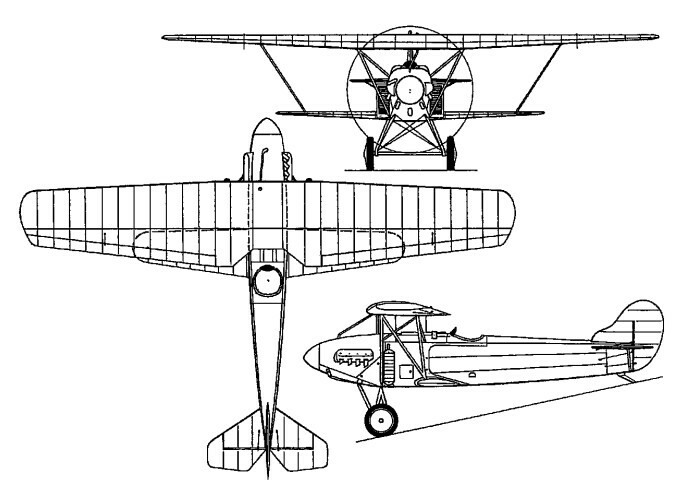 The D XIIIs continued in use at Lipetsk until 1933, when the centre was closed and the 30 surviving fighters of this type (which included two replacements) were handed to the Soviet government. Maximum speed: 257 km/h (160 mph).